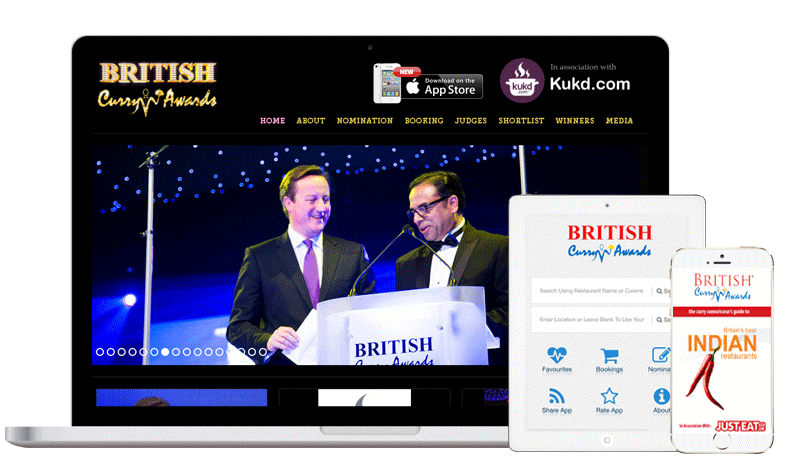 A High Profile Website designed and developed to display information on the awards, allow nominations, see previous winners, judges etc. Also designed and developed a Mobile App for iPhones, iPads, Android Smartphones, Android Tablets. 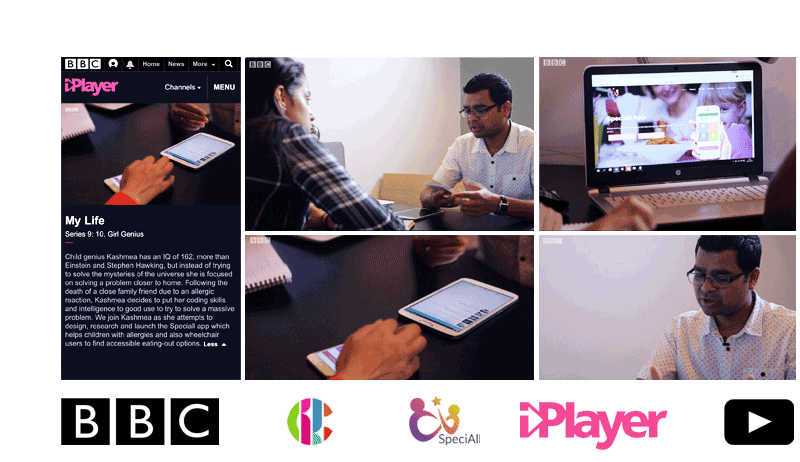 Featured on BBC - A lifestyle app that helps specially abled users to search for places they can visit with various allergy and disability filters. An app designed to serve university students by listing businesses and offers that benefit students. The app reached Top Charts rank 110 within 3 days of its launch. Kudos to the client for a brilliant idea and to the app developers at V1 for making this a reality. 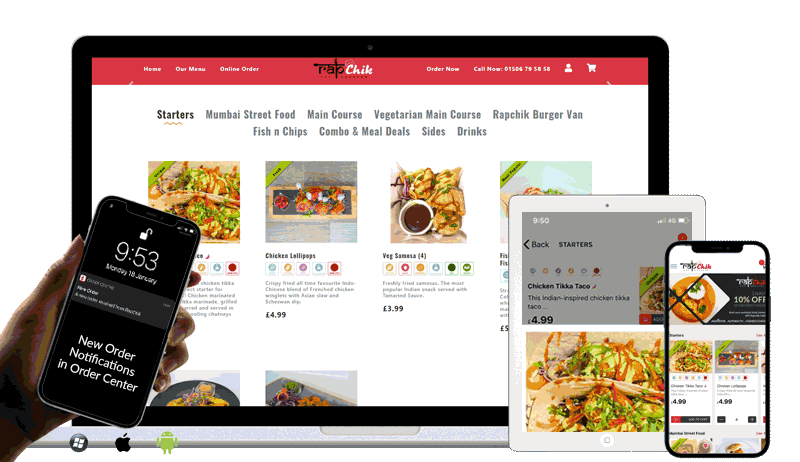 iOs and Android Apps with central admin system to facilitate online ordering on the go. Once the customer places an order, the owner is immediately notified on the Owners App from where they can accept reject orders. 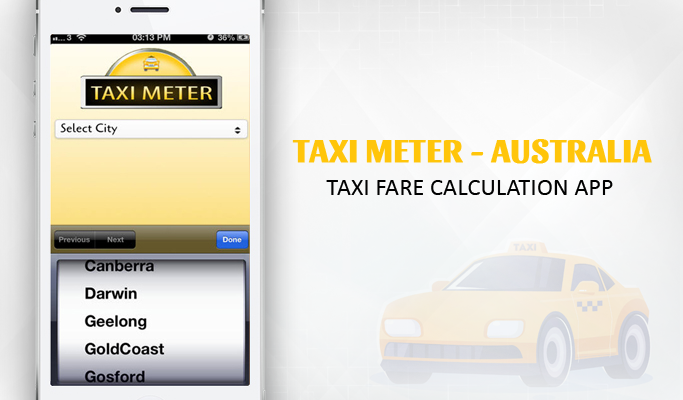 An UBER type app with similar features and functionalities like any other popular Taxi Booking App, this is a great Mobile App for Taxi Business Owners. A three dimensional approach to the project. V1 Technologies created an appointment booking app whereby users can find and book hair stylists and beauticians around them using the app, a website for stylists to register, and ad Admin System for the business owner to manage everything easily. 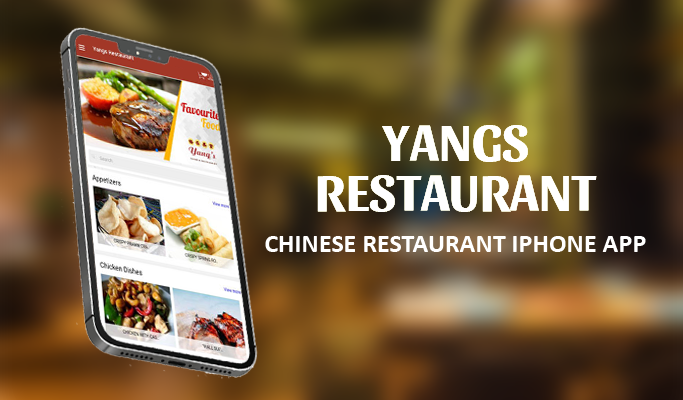 Built using latest ionic technology, this project involved building a fully featured mobile apps with website and CMS Admin Panel. 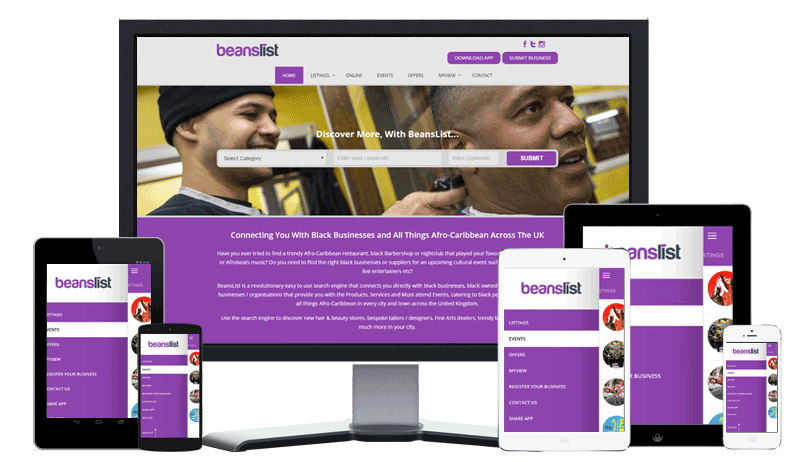 Android and iOs App Solution for UK based Afro Carribean Business Directory shocasing businesses, offers, events, news and more. 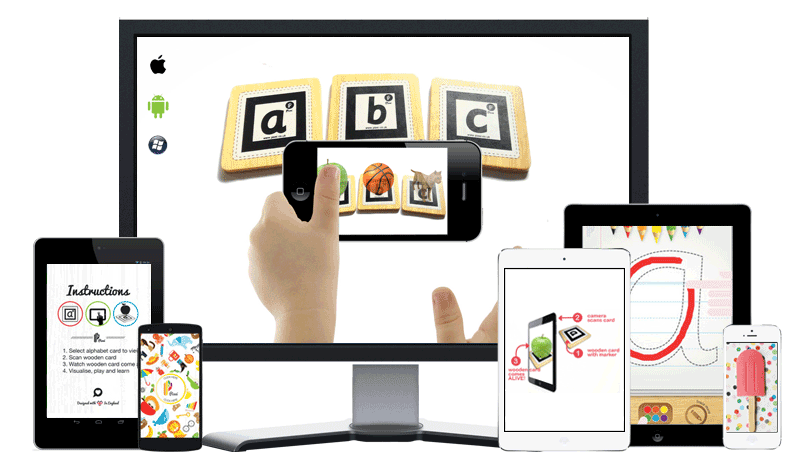 A breakthrough in education using Augmented Reality. 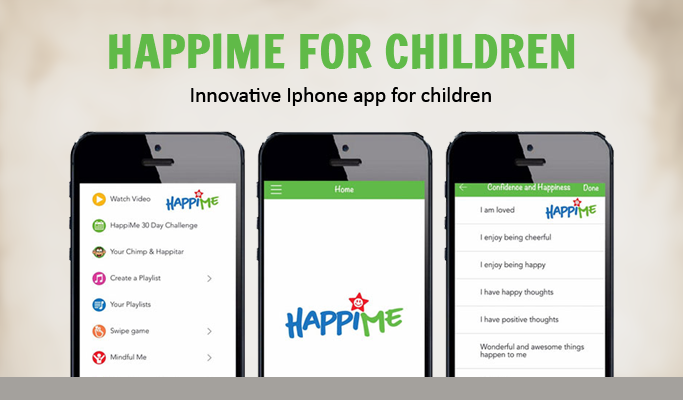 This app and the cards were chosen by John Lewis, Tesco and Mothercare for sale on their shelves. 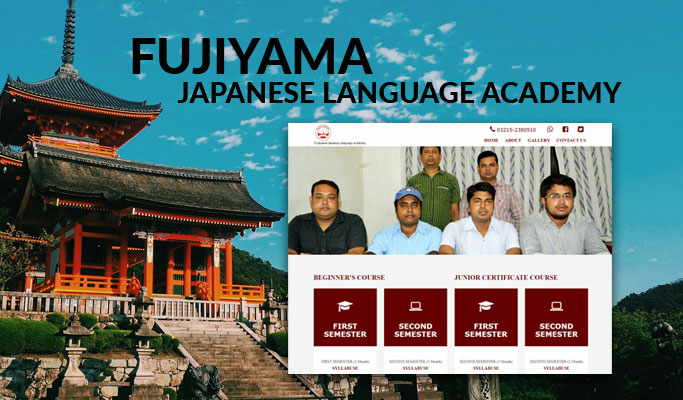 An eCommerce Website for Booking, Conducting and Delivering Online Courses, including Training and Certification. Also launched an iOs and Android App to facilitate the same. We are a full service digital agency offering stunning website design and mobile app development services. We can handle web and mobile app development projects of any kind, simple or complex. 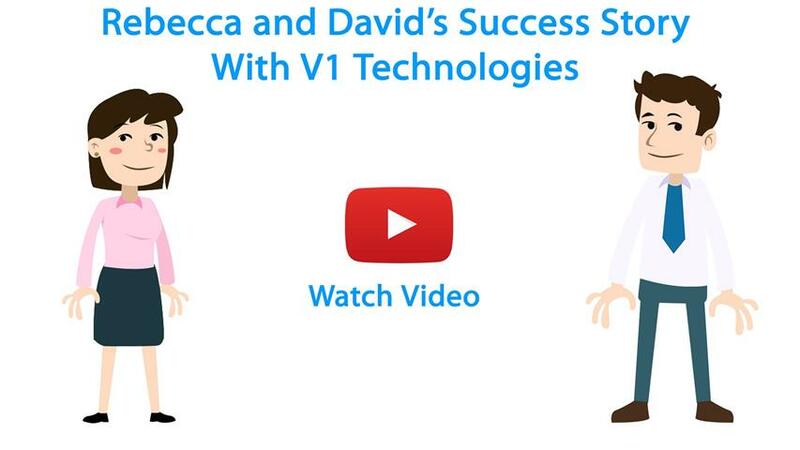 At V1 technologies, we believe in taking the stress away from you when it comes to managing your online business and marketing. 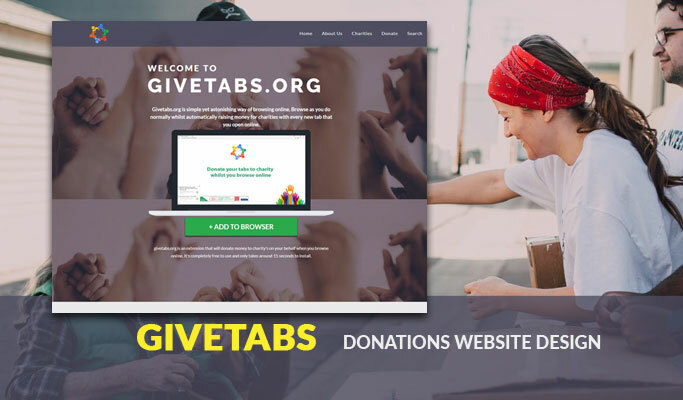 Need a website design? 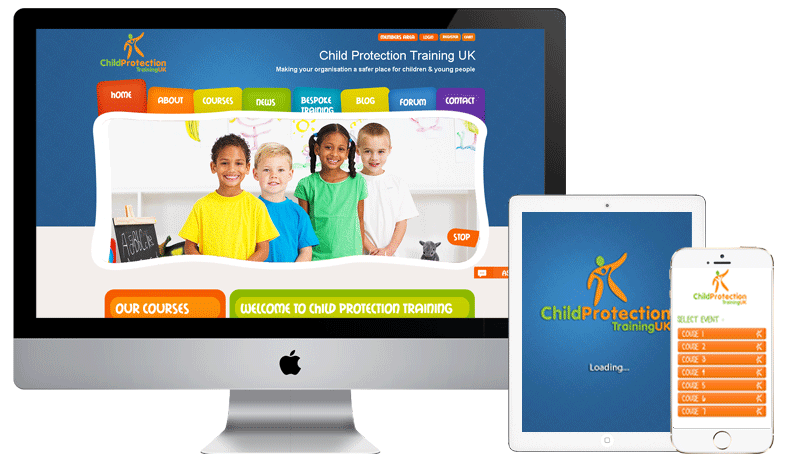 Wondering where to get your business web deisgn in UK? Your search stops here. 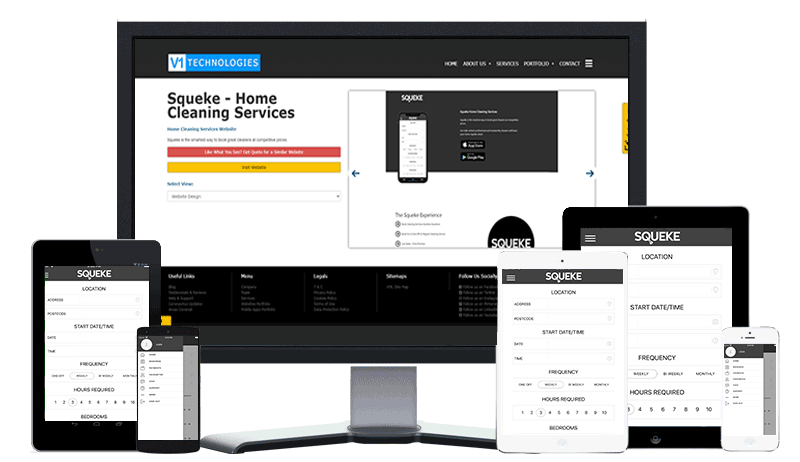 With V1 Technologies leading website design service, you get more for your money. 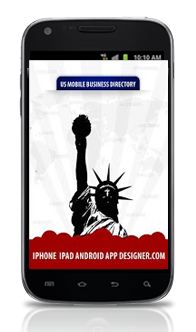 Make the most of our iphone, ipad, android and other mobile app design services to advertise your business on the go. Browse through our affordable mobile app development packages and select one that suits your business best. Explore the world of online advertising with our specialist online marketing strategies. 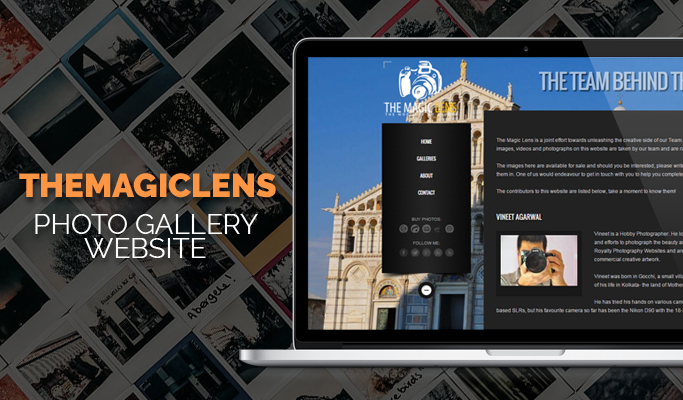 With millions of users worldwide, looking for your product and services, get the right exposure your business needs. Start Today! 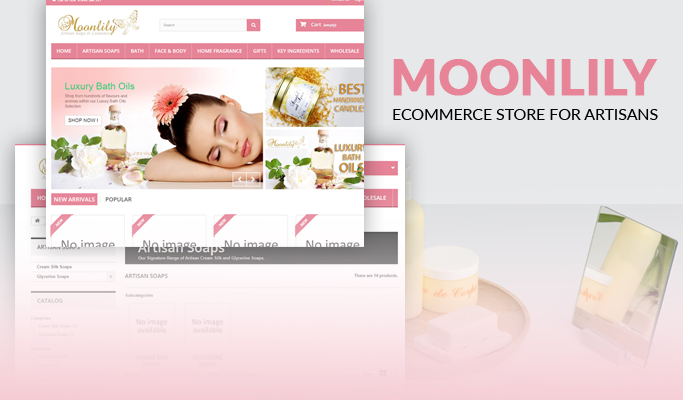 We can design and develop your online ecommerce store quickly and effectively to get you started right away. Contact one of our ecommerce web developers to know more. Information is just a touch away! With smart phone prices becoming more affordable, a major portion of the population is able to access mobile applications. "Mobile to overtake fixed Internet access by 2014," as said by Mary Meeker, an analyst at Kleiner Perkins Caufield Byers, has become a reality. Recent surveys show that 58 percent of UK Population had smartphones as of January 2014. This is direct evidence of the fact that about 140 million smartphones are being used in the United Kingdom. This also means mobile will continue to rule the digital landscape, so businesses must embrace mobile technologies to stay ahead of the curve. Another research claims that about 22 percent of people worldwide own smartphones and this is a number huge enough to persuade business owners to hire mobile app development services in UK to develop their own unique mobile app. 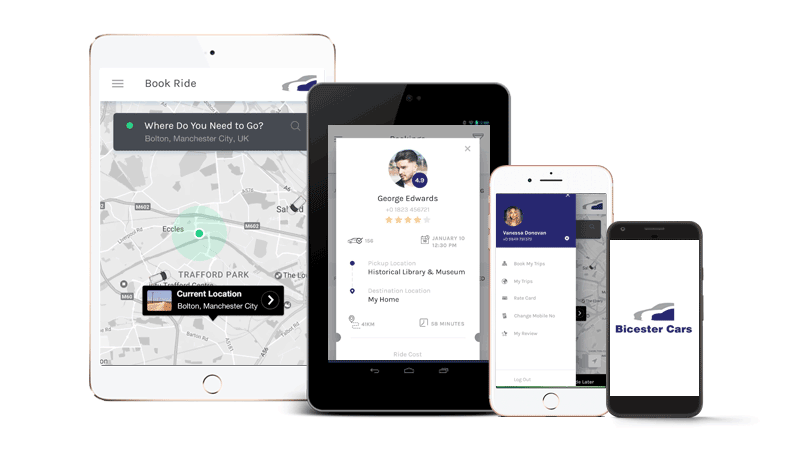 Finding a mobile app development service in London is not a big deal, the main challenge is to locate the 'RIGHT' app development company. Partnering with the wrong company means indefinite delays, bad user experiences, bad codes and most importantly wastage of hundreds and thousands of dollars. We offer high quality app development services. 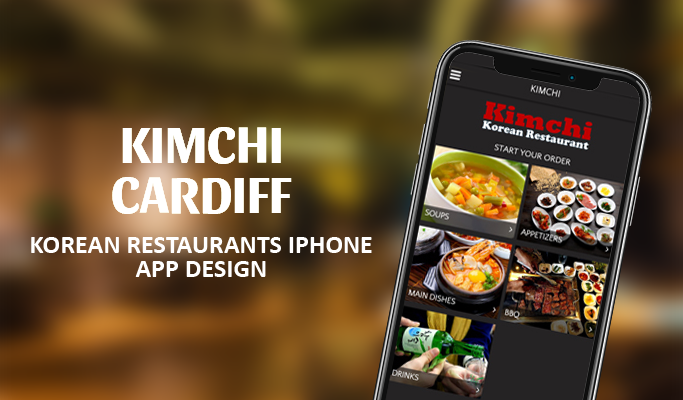 Being one of the highly experienced app design companies, we are experts in creating the best app for your business that can generate the much needed viral affect. Moreover, we can also help you in effectively marketing your mobile phone app in the best possible way. So select from our cheap app development packages or give us a call right away. 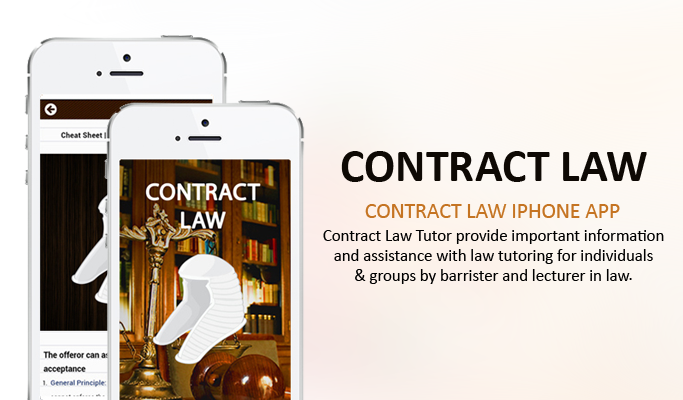 Our team of expert iPhone App Developers is here to help. Today's customers are busier than ever and they're dependant on mobile applications to find what they are looking for. With smart phone prices becoming more affordable, a major portion of the population will be able to access mobile applications. "Mobile to overtake fixed Internet access by 2014," as said by Mary Meeker an analyst at Kleiner Perkins Caufield Byers, has become a reality. Whether businesses should opt to create mobile applications depends largely on the potential app users out there and this directly is proportional to the number of people using smart phones. Recent surveys show that 58 percent of UK Population had smartphones as of January 2014. This is direct evidence of the fact that about 140 million smartphones are being used in the United Kingdom. With mobile apps becoming increasingly popular, most of the web development companies are moving towards providing this type of services. So finding a mobile app development service is not a big deal, the main challenge is to locate the right app development company. Choosing the wrongapp development partner means indefinite delays, bad user experiences, bad codes and most importantly wastage of hundreds and thousands of dollars. Ability to Deliver on Time:Make sure the mobile app development company can deliver on time, every time. Delay in delivery means wasting both money and opportunity. Ability to Develop Apps on All OS:In order to increase your reach, it is important that you choose a company offering cross platform mobile app development. This means the apps should run seamlessly on all major smartphone OS. Client References:Client references are extremely valuable, so check out the portfolios of companies you're considering - see whom they've worked with and what type of solutions they can provide. Read testimonials and if possible, get in touch with past clients directly. Cost Vs Quality:Never take decisions based on price alone. Rock bottom prices often indicate poor quality (design and development) service. Look for companies that offer best services at affordable prices. Hire a well experienced app development company and have peace of mind! Personalized App Development:Choose a company that offers customized mobile app development services and can tailor apps according to your individual needs. This means the company should first understand your business goals, your target audience, etc. before getting started. Finally, Mobile App Design is not a one time job since you will require regular updates and polishing to keep it at par with the changing market scenarios. Hence choose a company with whom you will be able to go on a long term association. Doing business has become easier with mobile applications so make sure you update and polish the apps regularly, to keep them at par with the changing customer demands. Choose a company with whom you will be able build a long term association. 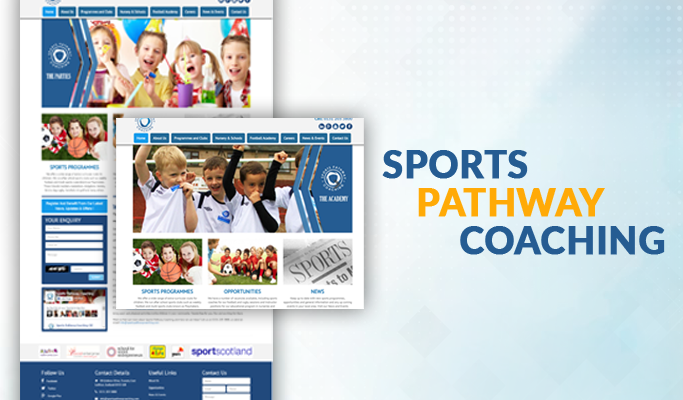 We just don't develop apps and websites, we create your brand's online identity. 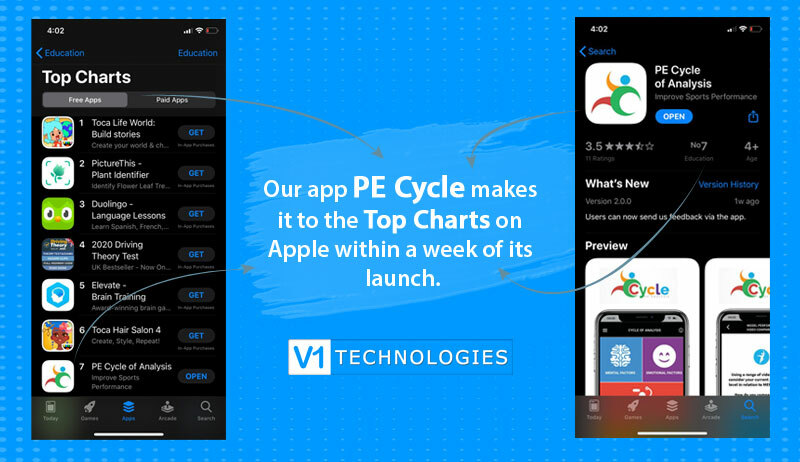 As one of the highly experienced app design companies based in London, V1 Technologies has the reputation of creating the best app for your business that can generate the much needed viral affect. Moreover, we can also help you market your mobile phone apps in the best possible way. So select from our cost-effective app development packages or give us a call right away. Our team of expert iPhone App Developers is here to help. Why Us - Watch The Video To Know Why!